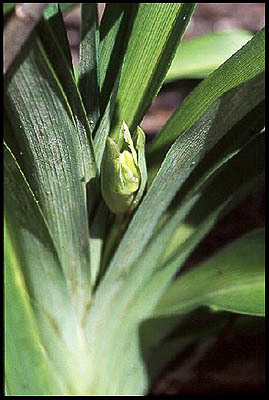 A flower stalk without leaves. The daylily flower scape has no leaves except some modified leaves called bracts. 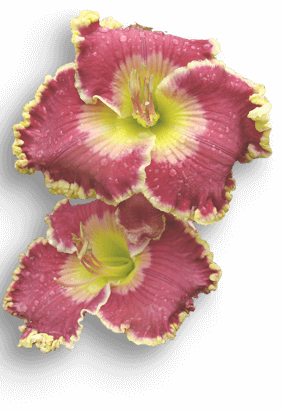 The scape is the entire flower stalk above the crown. 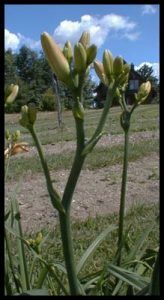 Also see: Bract, Crown, Stalk.